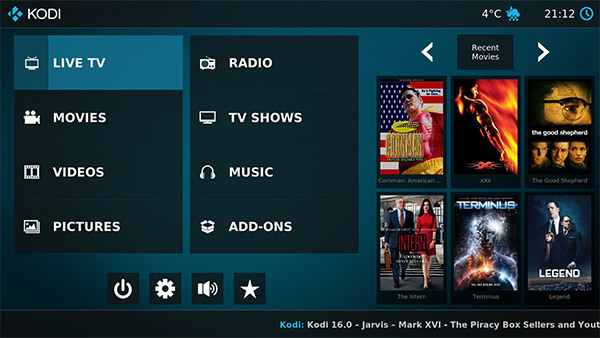 There’s a brand new alpha version of the extremely popular Kodi software available, and it’s got pretty big shoes to fill due to the codename that those in charge of the software have chosen. The availability of Kodi v17.0 alpha 2 comes with an accompanying announcement that the 17th iteration of the platform will be called after the home planet of one of the greatest and most powerful superheroes the world has ever seen. Welcome to Kodi v17.0 “Krypton”, with new default touch-enabled interface skins, a dramatically improved video player experience, and live streams made “easier and better”. 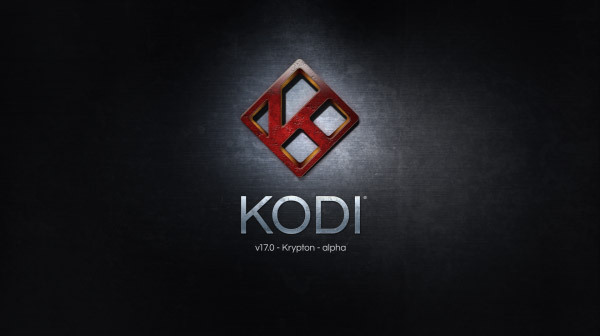 The second Alpha of Kodi version 17 follows on from the initial alpha release earlier this year. As mentioned back in March, version 17 of the platform has been packed with a number of extremely notable changes and feature improvements that look to dramatically improve the overall end-user Kodi experience on whatever device the software is being executed from. Speaking of devices, it is important to note that on the Android front, Kodi v17.0 is now only compatible with Android 5.0 Lollipop or higher. This particular version of Kodi has involved input from 39 different developers globally, resulting in 1179 pull-requests and a huge 3735 code commits leading up to where we are now. Those statistics really show the number of changes that have been made to the core Kodi codebase. 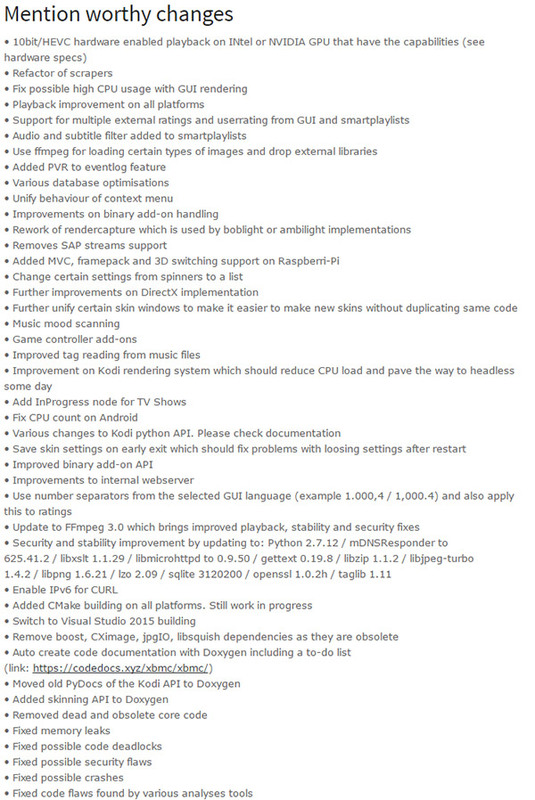 Inside of those commits come the changes that have made Krypton one of the most impressive Kodi updates to date. Firstly, there is the the iconic Confluence skin that has been in place on the platform since 2009, but has been updated in this release. This decision also sees the new touch-enabled Estuary and Estouchy skins come into the equation, which are essentially two new default skins built entirely from the ground up for this release. The home screen has been revamped and now utilizes a smartplaylists implementation to automatically show you what probably interests you the most. We suggest you just give it a try and see for yourself. If you still prefer Confluence skin then you don’t need to worry as it’s still available from the official Kodi repository. 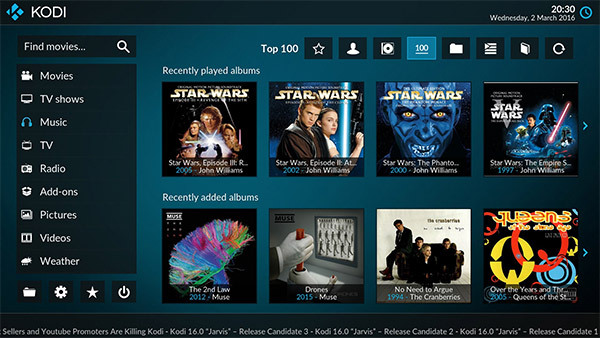 Other than the interface changes, the developers have added a host of new themes and colors that will allow users to further tweak and customize Kodi’s appearance. Those 39 contributing developers have also decided to take an in-depth approach to the video player within Kodi, which let’s be honest, is one of the most important aspects of the experience. The majority of the video player code has been refactored to ensure that it’s no longer interwoven with other components in the platform. Those changes allow for a much more flexible and versatile experience that allows multiple instances of video player to be invoked. Any regular Kodi user will understand that there is literally far too much in version 17 to cover. However, the developers have stated what they deem to be the most “mention worthy changes” and can be seen in the image below. You can check out the complete list of changes and what it means for you at the source below, and if you wish to give Kodi v17.0 alpha 2 a try on your Windows, Mac, iOS, Android or Apple TV device, you can download it from kodi.tv/download. Just adding useless people like this to my block list. It’s in alpha release…a lot of things aren’t going to work. I would find great joy in watching you die a horrible death. Youlre blocking yourself? Whats the point in that?